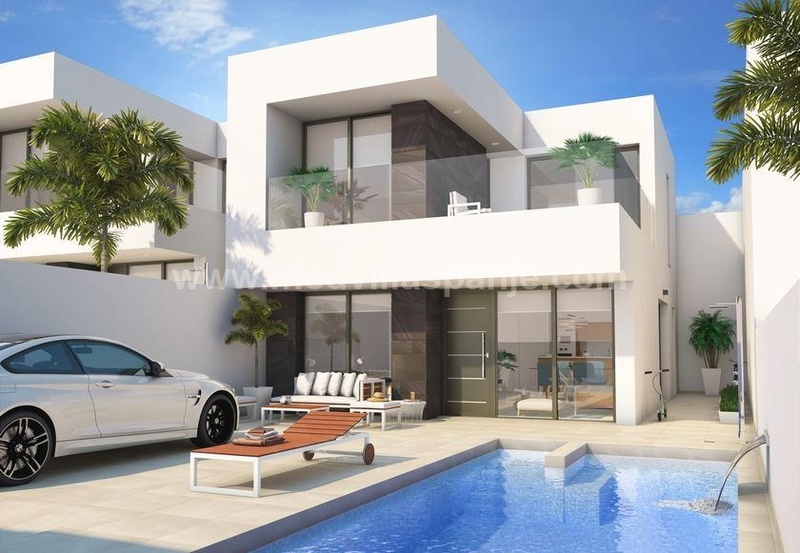 This modern spacious new villa is located near the sea and all kinds of facilities San Pedro del Pinatar, Murcia, Spain! All properties have 3 bedrooms, 2 bathrooms, a garden with terrace, a private swimming pool and a parking space. There is already a first bathroom and bedroom on the ground floor. The 2 other bedrooms and bathroom are located on the first floor. There is also the possibility to have a roof terrace (€ 9000) .